Caroline Mullan was the fan guest of honour at Dysprosium, the 66th British National Science Fiction Convention in April 2015. 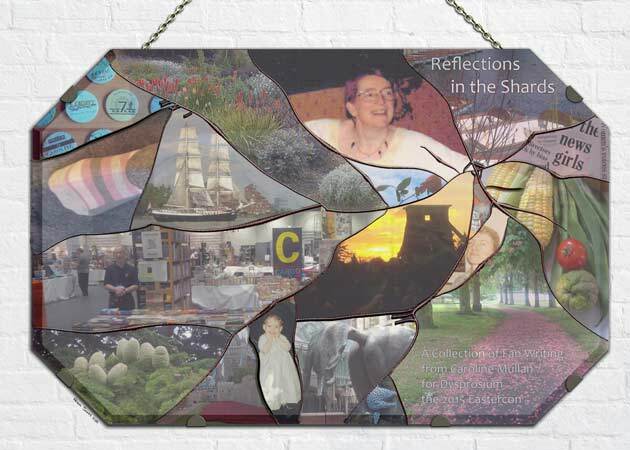 Reflections in the Shards is a collection of her fan writing, drawing on material that appeared in fanzines and APA contributions across a period of over twenty-five years. It was edited by Claire Brialey and Mark Plummer and Dysprosium kindly distributed print copies to all its members.